Mark Loewenberg PA 561-214-0370: Listings Over 500k In Caloosa In Palm Beach Gardens FL 33418! Listings Over 500k In Caloosa In Palm Beach Gardens FL 33418! Here Are The Listings Over 500k In Caloosa In Palm Beach Gardens FL 33418! 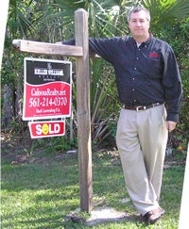 Are you on the hunt for a list of listings in the community of Caloosa? Caloosa a community of 350 5 acre parcels that includes a 32 acre central park. It is a super place to call home as I have for over a decade! The central park has equestrian aspects, tennis, basketball, kids play area, heart trek area and central meeting room as well as restroom facilities. To learn more about Caloosa, please feel free to call Mark Loewenberg anytime at 561-214-0370 or feel free to visit www.CaloosaRealty.net for more information or a full list of Caloosa properties on the market. Thanks for this description of what’s available over $500K in your area, Mark. I appreciate how these posts help me stay on top of other markets so I can serve my many out-of-state buyers. Hi Mark. Great job providing the listings in that price range. very super deals for the right folks looking here in Caloosa! what a wonderful place to live! Looking for a home in Caloosa? Call Mark Lowenberg today!